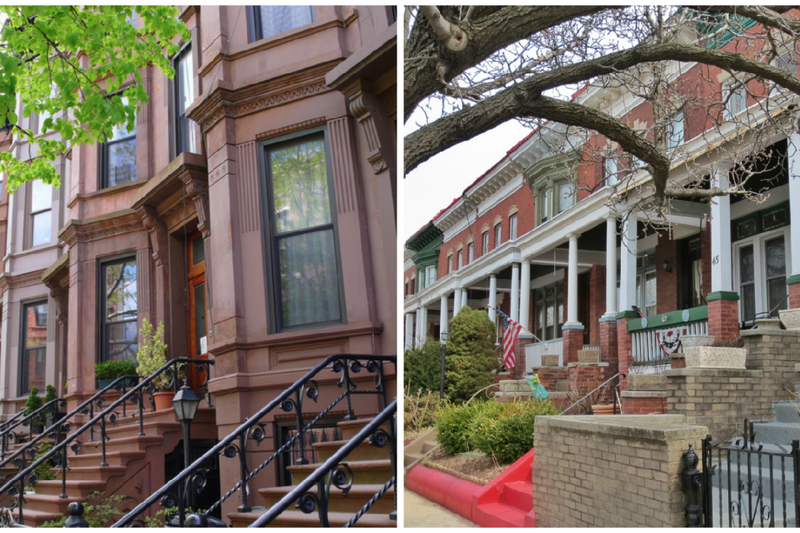 Park Slope vs. Windsor Terrace: Which neighborhood is for you? Park Slope is known for its brownstones, whereas Windsor Terrace shows more brick (and American flags). For many New Yorkers who live elsewhere, drawing a distinction between the two neighboring Brooklyn communities of Park Slope and Windsor Terrace might seem like splitting hairs. But the truth is, though the neighborhoods do have some similar features on paper, such as townhouses and access to Prospect Park, they have totally distinct personalities. Which is why we decided to have the two neighborhoods face off. Previous entries in this highly unscientific series include Kensington vs. Ditmas Park, and Astoria vs. Long Island City. 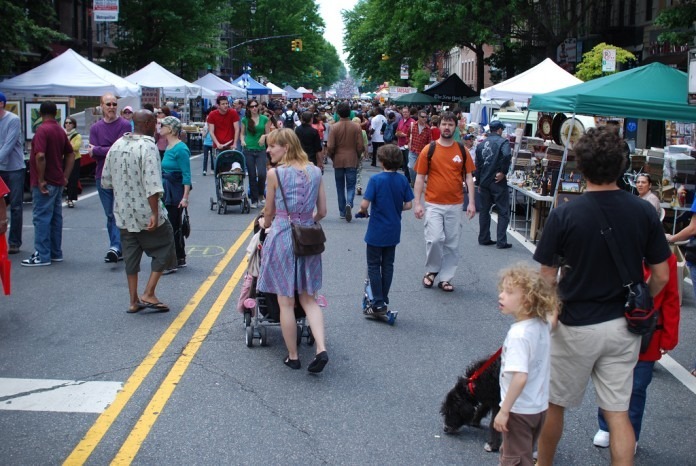 Thinking of making a move to Park Slope or Windsor Terrace? Consider the following before you make a move. And of course, if you're familiar with either of these neighborhoods, feel free to weigh in with your own opinions. 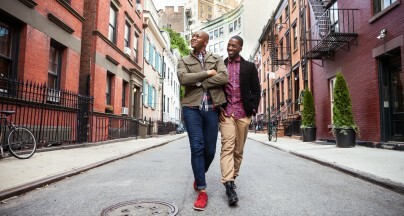 Living: One of New York's original suburbs, Park Slope has famously gone from an outer-borough neighborhood of rundown, turn-of-the-century brownstones to an upscale enclave populated by professionals wielding pricey strollers. There's no denying that it's a slower-paced place to live compared to much of Manhattan, with Prospect Park on its eastern border, and street after tree-lined street of brownstone and limestone townhouses, the grandest of them nearest to the park. The rents in Park Slope have steadily climbed as buyers, including many from overseas, got priced out of Manhattan. 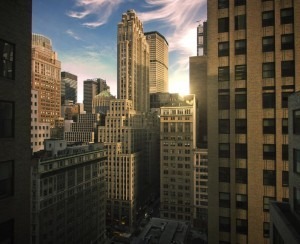 The central artery of the neighborhood, Seventh Avenue, used to be where most commerce happened. As the neighborhood has boomed, the northern portion of Fifth Avenue emerged as its cooler cousin, thanks to its many bars, restaurants, and boutiques. The park ups the quality of life for residents, many of whom enjoy biking, running, walking the dog, barbecuing, lounging, and watching the kids play in the green space. Park Slopers also make use of two YMCAs: one at the massive Park Slope Armory, the other one at Sixth Avenue and Ninth Street. The latter has two swimming pools. The residential feel and the park certainly contributes to the neighborhood's family appeal, and another huge draw is the high ratings of its public schools. The centrally located, and increasingly crowded P.S. 321 is perhaps the most well-known, but other schools, including P.S. 39, P.S. 107, and the new (as of 2013) P.S.118 also bring families to the area, as do high-priced private schools such as Berkeley Carroll School and Poly Prep Country Day School. Largely black, Latino, and working-class in the 1970s, Park Slope has become much whiter and wealthier in the intervening years. The neighborhood has become massively more expensive to live in even over the last decade. According to Zillow, the median rent in Park Slope climbed from $2,178 a month in 2011 to a current rate of $2,920. 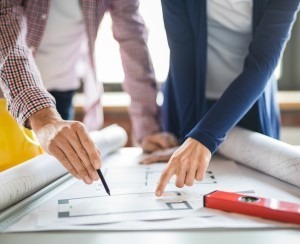 The median sale price per square foot, meanwhile, skyrocketed, going from $632 per square foot in January of 2011 to $1,240 per square foot in December of 2017. Housing: Park Slope's housing stock is largely made up of its famous brownstones as well as limestone townhouses, and some low-rise apartment buildings. Neighborhood zoning bars the high-rise development seen in other parts of the city, except for along Fourth Avenue, where towers have gone up following a semi-recent rezoning.Some older wooden houses can be found in the neighborhood as well. 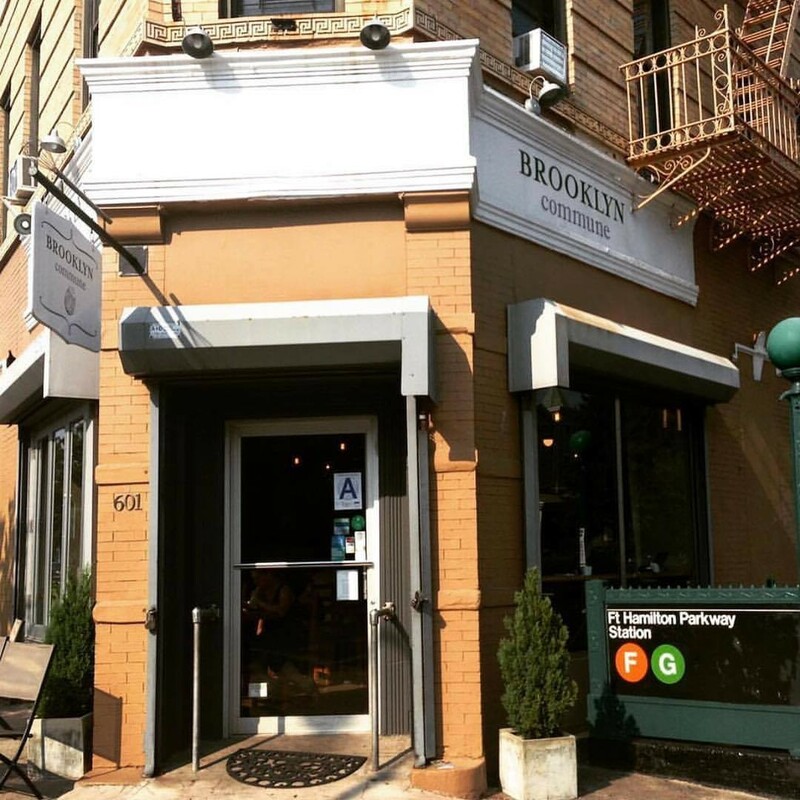 Eating and shopping: Due to its population density and demographics, Park Slope has a lot of conveniences, and places to burn cash. Basic eats have long been served by places including Purity Diner, Grand Canyon, Smiling Pizza, and Pino's Pizzeria, and upscale, farm-to-table fare is increasingly coming (and going). Current hotspots include Talde, longtime favorite Al Di La, and Bricolage, and newcomers Camperdown Elm and Hugo & Sons. Perennial favorite Two Boots Pizza relocated to Fifth Avenue many years ago, and neighborhood favorite The Gate is popular for a casual beer indoors or out. Live music can be found at Barbès on Sixth Avenue and Sir D's Lounge, while Union Hall has beer, bocce, and live comedy and shows. Excelsior is the area gay bar, Ginger's caters to a lesbian clientele, and wine and cocktail lovers have several choices, including Wolf & Deer and Parish. Food shopping ranges from basic grocery stores like Key Food and Associated to Union Market and the Park Slope Food Coop, as well as specialty stores like Bklyn Larder and Hiller & Moon. Clothes stores include Beacon's Closet for gently used threads, as well as pricey boutiques such as Bird. Transportation: Park Slope is served by the B and Q lines at Seventh Avenue and Flatbush, as well as the F and G at Seventh Avenue and Ninth Street. Then there's the 2 and 3 at Grand Army Plaza, and the F, G and R at Fourth Avenue and Ninth Street. Getting into Midtown "quickly" (in about 40 minutes) is easier if you live on the north end of the neighborhood. Towards the south, the trains run local and are less reliable. 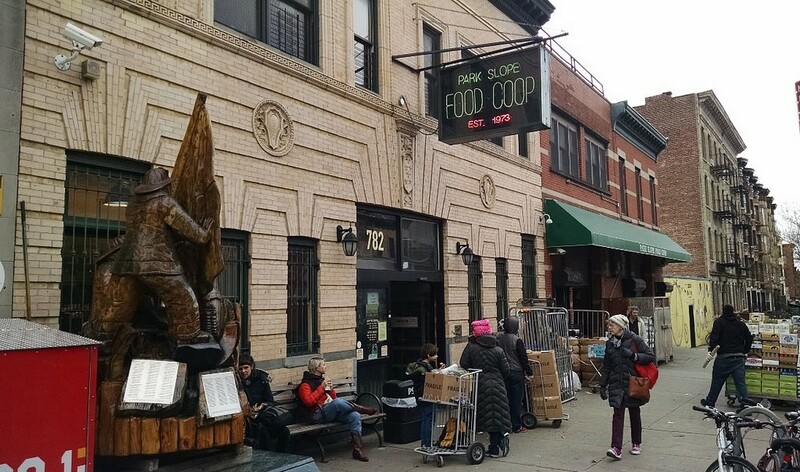 Area gems: The Park Slope Food Coop is a neighborhood institution, a source of well-priced produce, and a target of ridicule all at the same time, thanks to its political squabbles. The weekend flea market in the courtyard of P.S. 321 is a mainstay, as is the annual Park Slope Halloween Parade. J.J. Byrne Park on Fifth Avenue is large playground that underwent an extensive renovation and now boasts water cannons, sprinklers, and climbing features. The historic Old Stone House and large soccer fields are just beyond it. Bookstores survive here, with a Barnes & Noble, indie Community Bookstore, and Powerhouse all calling Park Slope home. The Farmer's Market at Grand Army Plaza is beloved, and there's another on Fifth Avenue near J.J. Byrne. The annual summer Celebrate Brooklyn festival in Prospect Park lures crowds to free shows by world-renowned musicians. The vibe: Very family-friendly. It's also teeming with writers and journalists. It's not without its conservative residents, but it's loudly progressive and liberal, and some would argue, in a bubble. Local celebrity: Park Slope OG celebrities include Steve Buscemi, John Turturro, and Paul Auster. Many more have joined them, including Maggie Gyllenhaal and Peter Sarsgaard. Neighborhood boundaries: Prospect Park Southwest and 15th Street to the north, Caton Avenue, 20th Street, and McDonald Avenue to the south, and Eighth Avenue to the west. Or more simply, between the green of Prospect Park and Green-Wood Cemetery. Living: A perfectly lovely neighborhood in its own right, Windsor Terrace is, for many Park Slopers who were priced out of their neighborhood, a logical place to relocate. It's not only just a bit to the south—there are disagreements on what is "South Slope" and what is Windsor Terrace—it has a similar vibe. It's quiet and family-friendly, close to Prospect Park (albeit a different part of it), and has highly rated schools that now include P.S. 154, P.S. 10, and P.S. 130. Rents are on the rise there, too, though. 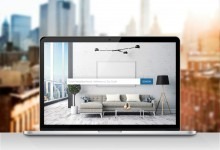 Zillow estimates current median rent to be $2,476, compared to $1,801 in December 2011. One defining characteristic is the Prospect Park Expressway, built in the 1950s, which bisects the area, giving the streets to the west a more remote feel. Pedestrian bridges accessed by winding ramps connect the two sides, but there's no question it contributes to a feeling of two neighborhoods in one. Despite the fact that a highway runs through it, it's quiet—much quieter than Park Slope—with pockets of exclusively residential, tree-lined streets. 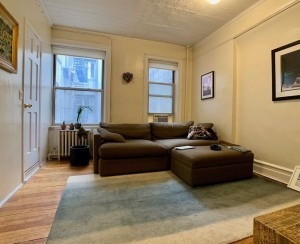 With less density, and fewer options, as well as a smaller footprint, Windsor Terrace has a more neighborhood feel, and you tend to see the same people (whether you know them or not) time and again. Housing: You don't find too many stately blocks of brownstones here, but there are plenty of lovely single- and two-family residences of limestone, brick, and clapboard townhouses, as well as the occasional new construction house. Windsor Terrace is also home to taller apartment buildings, both pre- and postwar, along thoroughfares such as Prospect Park Southwest and McDonald Avenue. Eating & shopping: As Park Slope refugees and others have crept into Windsor Terrace, so have new upscale bars and restaurants. Retail has also to a lesser extent. Windsor Terrace has nowhere near the options of its larger neighbor, the main drag of Prospect Park West has the most activity. It's home to Dub Pies, Connecticut Muffin and Prospect Cafe for coffee, French spot Le Petit Paris, Mexican restaurant Elora's, and craft beer bar Double Windsor. Shopping for basics can be done here as well, at a large 99 cent store and Prospect Market. Prospect Avenue is another cluster of activity, with wine store Juice Box, cafe Brooklyn Commune, Italian restaurant Della, and neo-soul restaurant Butterfunk Kitchen, while Fort Hamilton Parkway offers casual bar and restaurant Hamilton's, Steeplechase Coffee, Brancaccio's specialty food market, and yes, some delis. Major food shopping and other essentials require a trip to Foodtown on McDonald, Key Food on Prospect, or Prospect Market on Prospect Park West. 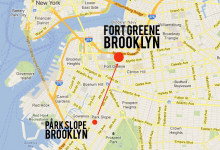 Transportation: The F and the G are the main subway lines that serve the area, at 15th Street and Prospect Park on the north end, and Fort Hamilton Parkway on the south. The B67 and B69 buses are another way to get to Park Slope and Downtown Brooklyn from Windsor Terrace. No place in New York offers completely stress-free on-street parking, but locals say the process is somewhat less bothersome in Windsor Terrace thanks to the cemetery. 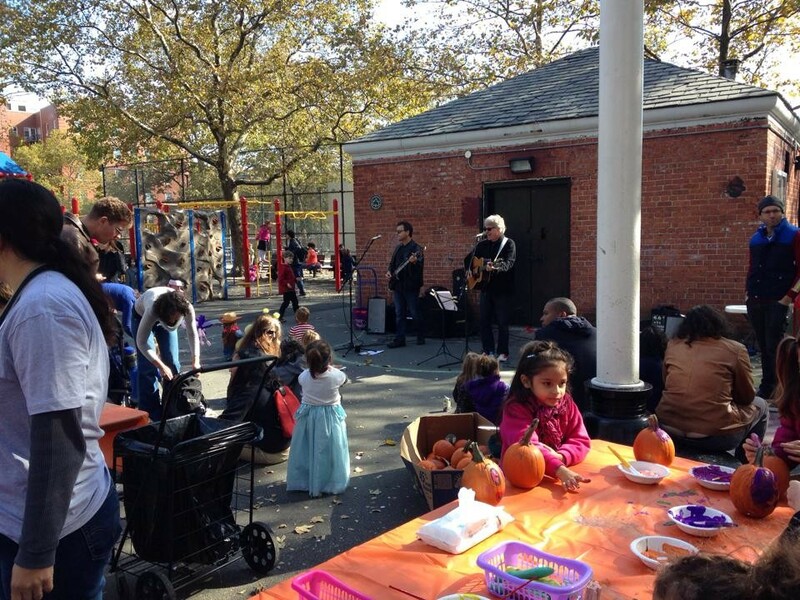 The Hoot, an annual Halloween event at Greenwood Playground. Area gems: Windsor Terrace has its own farmer's market at the plaza at the neighborhood's gateway to the park, the roundabout with the confusing name of Bartel-Pritchard Square. Farrell's Bar & Grill, an Irish bar dating to 1933 is a neighborhood institution and was the subject of a recent play. 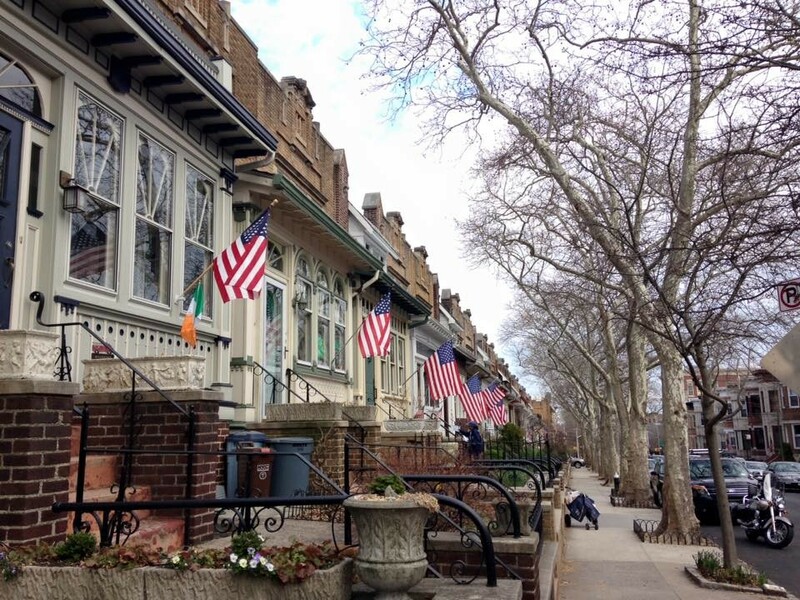 The area has been home to a prominent Irish-American community for decades. Regina Bakery, just off Prospect Park West, is an Italian bakery with celebrated cookies and pastry, and Terrace Books is a beloved local indie bookstore. Green-Wood Cemetery, a national historic landmark, was founded in 1838 and sprawls over 500,000 acres. It is the eternal resting place of notables such as composer Leonard Bernstein and artist Jean-Michel Basquiat. Tours are available. No-kill animal shelter Sean Casey Animal Rescue has provided many Brooklyn families with furry and feathered friends, and the Fourth Street Community Garden is a hub of activity and community events. Greenwood Park, a huge (by New York standards) beer garden, hosts 20-somethings and families in its courtyard. Greenwood Playground, with handball and basketball courts, play equipment, and a dog run, is used by kids and adults alike virtually year-round. Other special spots include the tranquil block of Arts and Crafts houses on Fuller Place, and the Holy Apostles Episcopal Church on Greenwood Avenue, which looks like it fell out of a fairy tale. Vibe: Sleepy and family friendly, with more of a working-class, conservative bent than its neighbor to the north, although that is changing with the new arrivals. Local celebrities: Debi Mazar and her husband, chef Gabriele Corcos live here, and run Italian restaurant The Tuscan Gun on Windsor Place.